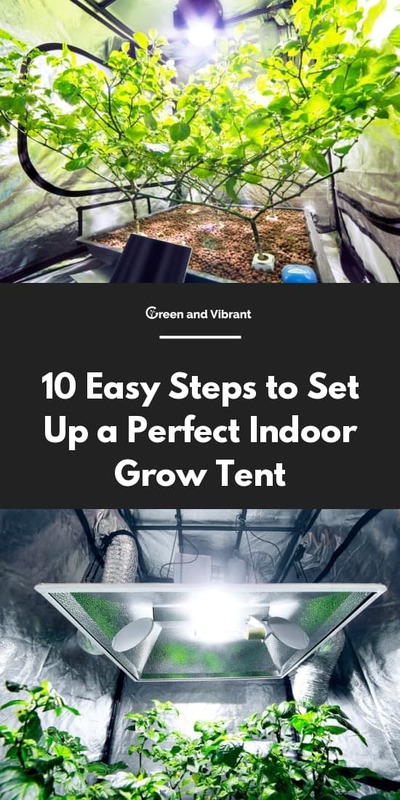 If you are doing any indoor gardening, setting up an indoor grow tent will be a valuable, if not the most important, asset towards the success of your plants. A grow tent will allow you to create the exact environmental conditions your plants need. Factors such as lighting, temperature, and ambient humidity are critical and need to be within optimal ranges for robust, healthy plant growth and a successful harvest. Setting up a grow tent is a simple process that allows you to be the weather, controlling all of these conditions. The key to choosing the optimal grow tent size for your operation is going to depend completely on what you’d like to grow. The size of your tent will be one of the most important decisions you make. A tent that is too large will have you wasting money on parameters such as the electricity to power lights, fans, pumps, etc. An area that is too small will crowd plants, causing a battle for available nutrients and water, stunting their potential growth. Remember that in selecting a tent, form follows function. There is no need to purchase a tent that has more ventilation holes that what you need or a tent that is incredibly larger than your growing operation. If your budget allows then purchased LED lamps for your tent. LED lights are designed to emit light in a full spectrum of color without getting overly warm, providing you with the best option for grow tent lighting. Behind lighting, temperature is another critical condition in the grow tent that needs monitoring and ventilation. Most plants prefer temperatures within the range of 70 - 80°, or maybe even stretching to 85°F. Many plants prefer the upper range of this spectrum and will grow well if the conditions are slightly warmer. The most important factor in temperature is that it is consistent. Make sure the daytime temperatures (i.e., when the lights are on) is maintained within a fairly consistent range, and that the off-lighting temperatures drop no more than 10-15°F. In this case, consistency is key. The carbon dioxide levels are directly correlated to the growth rates of plants. At leaves of 1200 t0 1500 ppm CO2, growth rates are increased significantly and may be seen at some of the highest possible levels. It’s important though to note that at higher CO2, there may be a corresponding increase in temperature that needs to be addressed. Indoor growing systems are not exempt from insect infiltration. One of the best wants to combat insects within a given space is make sure there is constant air circulation. Don’t point circulating fans directly at plants as this may cause them to dry out prematurely, but you want to make sure the fans are providing enough air the leaves on the plant being grown are always slightly moving. A gentle breeze will hinder fungus gnats and spider mites. Humidity is a varying, hot topic amongst researchers still. Some will stand a more traditional ground, saying plant growth is irrelevant to humidity levels and it doesn’t necessarily matter what the relative humidity levels are within the grow tent. But some research shows the humidity level can affect plants depending on their various growing stage; plants prefer approximate 60% relative humidity. You can always add moisture to the air by placing wetted sponge close to growing trays, add trays/bowls of water close to the plants, or add larger plants to your growing system that will transpire more. Many people don’t consider this aspect, but having a growing system with a reflective material on the interior of the growing tent will be incredibly convenient. Not only does this help to keep light pollution from infiltrating your house but it will also help plants grow more optimally. All of these conditions are simply rough guidelines. The absolute best thing to do it to play with all of the grow settings until you find the best combination that works for the plants you are attempting to grow. Constructing a grow tent isn’t a difficult process, but some steps should be followed in a specific order to get the best results. Like any other project, it’s best to start off by having everything you need pulling together. Read through all of the instructions for the tent, lighting, ventilation, etc. and make sure you have all the tools you’ll need -- screwdrivers, wire cutters, a box cutter or scissors -- and any extra parts that didn’t come included. Don’t forget that you’ll need a power strip with a surge protector, perhaps a humidifier (if you live in a dry climate and need to increase the relative humidity), and it’s never a bad thing to have a roll of duct tape handy. Tents come in different sizes and are typically either square or rectangular. Before you begin assembly, check your location to ensure the tent will fit in the space. Construct frame -- Start by unpacking all of the pieces of the grow tent, making sure everything is in the box/package. Assemble the frame per the instructions and move the frame to its final location. Remember your plants need water and there is a chance this water can splash or spill onto the flooring. If you’re going to be placing it on a carpeted area, protect the carpet with mats or plastic. Put on cloth -- After setting the frame where you ultimately want it to be, you can add the cloth covering. Most tents are constructed, or lightweight nylon or a heavier canvas depending on the system purchased. Check to make sure the zippers work freely and, all seams are sewn tightly without any defects. Sometimes it takes a little finesse to get the cloth securely over the frame. 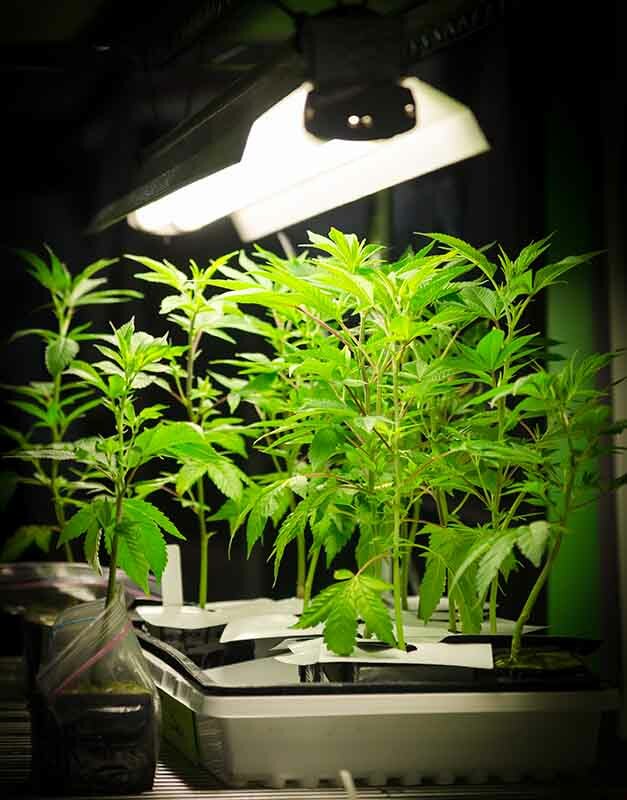 Lighting is one of the most critical components of growing plants indoors. 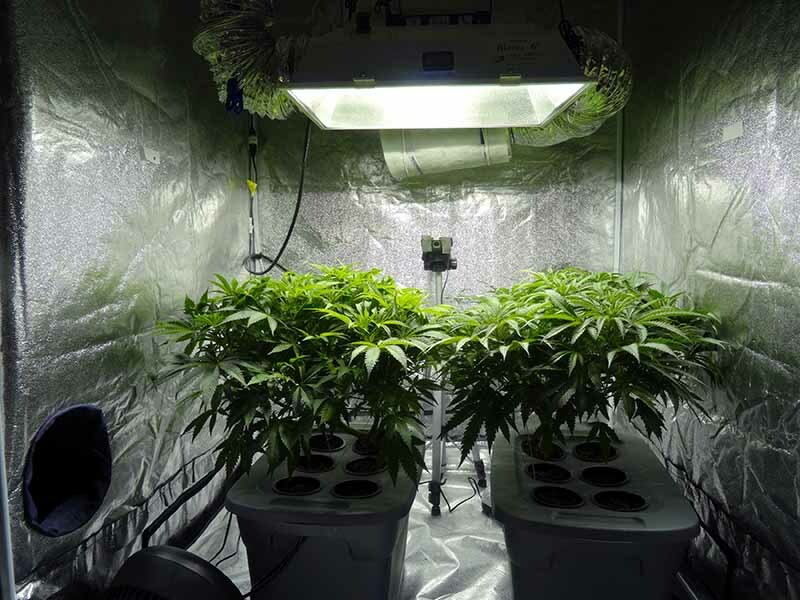 If the lights/lamps chosen are inadequate the plants will falter and struggle to grow; if the lights are too big for the system, they will generate too much heat that will need to be controlled. Consider installing a pulley system to allow you to adjust the lighting height as plants grow easily. Set up holders -- Most lights will come with mounting hardware to attach lighting to the crossbars of the frame. Follow manufacturer’s instructions to hang lighting at the appropriate heights for the lamps used and plant needs. Attach hood -- After the mounting hardware is secure, attach the lighting hoods to direct the light emitted downwards towards the plants. Organize wiring -- Bundle wiring and make sure it is safely out of the way, to prevent any electrical hazards. Then run all of the cords out of the nearest power cord hole in the tent. This video will show you how to set up the grow lights. Determine the best placement for the fan and carbon filter. Optimally, it is recommended that both the fan and filter to be hung inside the tent. Hanging them from the frame, closer to the top of the tent is ideal because it maximizes your growing footprint, removes the hottest air that rises to the top of the tent, and increases the odor removal effectiveness. After figuring out the best place(s) to have the filter and fan, it’s time for installation. Start by hanging the carbon filter from one of the tent’s crossbars using the hanging equipment provided. Then hang the exhaust fan so the intake is pointed towards the carbon filter and the exhaust is directed towards the grow tent ventilation opening. Measure the distance between the carbon filter flange and the exhaust fan intake, then using the box cutter and wire cutters, cut ducting at the desired length. Install ducting between the filter and the fan, and then from the fan exhaust through to the ventilation opening in the tent. Run power cords through the nearest power cord hole in the tent. To keep an eye on the environmental conditions within the tent, you need equipment to monitor the temperature, humidity, etc. It’s best to install all of your monitoring equipment level with the plants you will be growing. If you mount it too high or too low, it won’t provide an accurate reflection of the growing zone, and your plants may suffer. Set up the timers that control when your lights come on/off, and anything else that you plan to run independently. Now that you’ve got everything set up, it’s time to turn it all on and see how it works. This gives you the chance to work any kinks out and make sure everything is running correctly. Check to make sure your electrical connections are secure, cords are up off the floor where they could get wet, and nothing else could be a safety hazard. Now that the tent is fully constructed, and your entire system is running well, it’s time to add the plants and get started growing! After adding plants keep an eye on the levels inside the tent as the plants will affect humidity, temperature, CO2 levels, etc. You may need to tweak your environmental settings as time goes on. In between grows, it’s incredibly important to clean and maintain your grow tent thoroughly before starting a new crop. Wipe surfaces down with bleach or hydrogen peroxide to eradicate any lingering pathogens or diseases, and thoroughly scrub all pots and components that you plan on using in subsequent growing seasons. 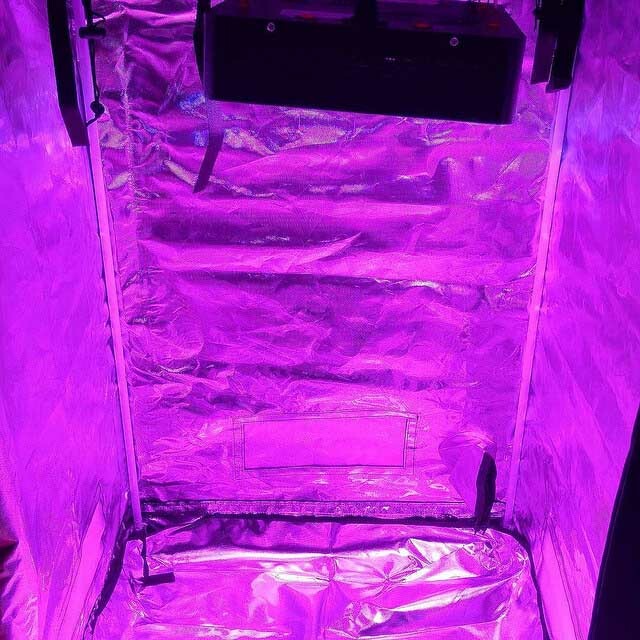 Setting up a grow tent to grow indoor plants is becoming more and more common since it allows the grower to control the environmental conditions, to ensure optimal growth and a successful harvest carefully. Having an indoor grow tent is an invaluable asset but needs to be set up correctly to ensure it runs at its peak. Following the aforementioned steps will help ensure your system is configured correctly and is safe.